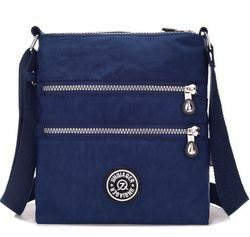 Over Shoulder Bags : Small & Compact, Sturdy shoulder bag made in 300 danier & 420 Nylon material. Enough space for daily use to carry Lunch & some personal belongings. The Best Made to Order Gift Bag at the Best Price. We are Majorly looking queries from Andhra, Karnataka, TamilNadu and Kerala region. We are leading firms in the industry, offering astonishing range of Nylon Executive Bag that is acclaimed for high quality and designer appeal. We offer them in standard sizes and are classy in appearance. They are attractive and yet stylish in nature. 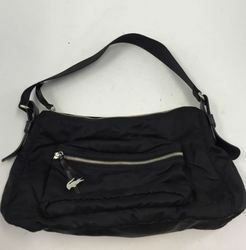 Keeping in mind the diverse requirements of the clients, we offer an exceptional range of Nylon Shoulder Bag that is manufactured with utmost accuracy. Our entire product range has smooth finishing, excellent finish and attractive colors. They are highly spacious and are delivered as per the exact preferences of our clients. Made by Smooth & Weightless Nylon material with adjustable shoulder. We offer the broadest range of nylon shoulder bags that perfectly compliments every attire and occasion. Made from the most durable fabric, these nylon shoulder bags are comfortable to carry and can easily be washed. Crafted by expert designers, these nylon shoulder bags are available in plethora of colors and designs.